Teslin, YT, Canada is located in the Southern Lakes region of the Yukon Territories in Canada. The village is located at the 1244 kilometre marker (804 mi.) of the Alaska Highway - where Teslin Lake meets the Nisutlin River. Teslin is a historical, recreation and transportation hub for travelers exploring the Alaska Highway. Top things to do, attractions, adventures and activities enjoyed in Teslin, Yukon Territories, Canada are fishing, birding (birdwatching), canoeing, wildlife watching, hiking, camping, boating, snowshoeing and snowmobiling. The best activity and adventure destinations located in Teslin, Yukon Territories are Squanga Lake, Teslin Lake, Hall Lake, Judas Mountain, Nisutlin River Wildlife Area, Daylayee Lake and the George Johnstone Trail. What are the Accommodations, Services and Amenities in Teslin, YT? 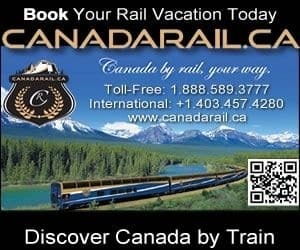 Important services and amenities for travelers when exploring in and around Teslin, YT, Canada are accommodations (cottages, motels, lodge, vacation home), campground, attractions, restaurant, gas station, gift store, and internet service. The best places for travellers to enjoy history and culture in Teslin, Yukon Territories, Canada is at the George Johnstone Museum, Northern Wildlife Museum and the Teslin Tlingit Heritage Centre. How To Get To Teslin Yukon Territories? Vehicle: The main highways in the Yukon Territories which connect to the community of Teslin, YT are Highway #1 (Southern Lakes region). Air: The closest international airport is the (YXY) Erik Nielsen Whitehorse International Airport (1 hour 50 minute drive - 176 kms). eh! Plan to Visit Teslin, Yukon today. What communities are near Teslin, YT, Canada.